Send us a friend (new to Pure Aesthetics) and you both receive $40 credit toward your visit! (friend must book and redeem a service. exclusions include products and injectibles). Irving Publications, LLC reserves the right to edit and/or reject any advertising. Irving Publications, LLC is not responsible for the validity of any claims made by its advertisers. 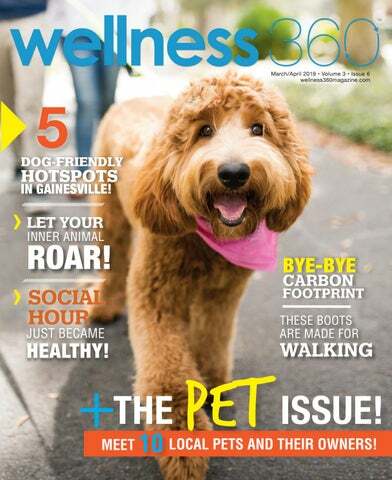 Nothing that appears in Wellness360 Magazine may be reproduced in any way, without written permission. Opinions expressed by Wellness360 Magazine writers are their own and do not necessarily reflect the publisher’s opinion. Wellness360 Magazine will consider all never before published outside editorial submissions. 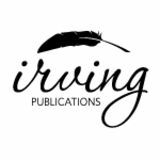 Irving Publications, LLC reserves the right to edit and/ or reject all outside editorial submissions and makes no guarantees regarding publication dates. The information found in Wellness360 Magazine does not constitute individualized medical advice. You must NOT rely on the information in this magazine as an alternative to medical advice from your doctor or other professional health care provider. If you have any specific questions about any medical matter you should consult your doctor or other professional health care provider. If you think you may be suffering from any medical condition you should seek immediate medical attention. You should never delay seeking medical advice, disregard medical advice, or discontinue medical treatment because of information in this publication. Wellness 360 Magazine assumes no responsibility for any circumstances arising out of the use, misuse, interpretation or application of any information supplied within the magazine. Always consult with your doctor for appropriate examinations, treatment, testing and care recommendations. Do not rely on information on in this magazine as a tool for self-diagnosis. You exercise your own judgment when using or purchasing any product highlighted in Wellness360 Magazine. Wellness 360 Magazine assumes no responsibility for errors or omissions in this publication or other documents that are referenced by or linked to this publication. Folds, Walker & Maltby, LLC is a full-service civil law firm serving the legal needs of individuals, families and businesses. We are proud of our new name, but we have the same goal of fostering a firm culture based on traditional professional values. The Partners share the common vision of growing the practice where integrity, hard work, personalized service and excellence define success for our clients and the firm. Our cover photo was shot on location at Tioga Town Center by Tanya Consaul Photography. Kona is a Goldendoodle who loves to play. She is the pet of Alachua County residents Cristine and Jesse Rawe. 16	Finding Your Inner Animal 18	Fitness With Your Pets: What's the Hype? The local full-time student who doubles as a full-time competitive bodybuilder. Editor's Note And… I got nowhere. He was a firm “No!” So, after an hour, yes an hour of begging and pleading with my husband of 17 years to come down to meet me, I had to wipe myself off the floor and walk away. I got no further than five steps from the enclosure when my youngest called. “We are on our way.” You better believe I sprinted back to them, where of course, their beauty began attracting other possible adoptees, and proclaimed to the rescue organization that my husband was on they way and I was pretty sure we would adopt them, and it was quite loud so other’s could hear! Just in case. Thirty minutes later, we were on the way home with our two new friends, who we happily renamed Jack and Jill. We assumed adjusting would be hard as we now had three fur babies at home, but, we were delighted to see that they all got along amazingly. I was personally excited to be able to have some new fur babies to curl up with, but, as luck would have it, that dedication I showed them during my hour on the floor at PetSmart was repaid… but to SHANE! We had been down the pet adoption road a few times. Some were successful and some not. Not every pet is the right fit for every family, and after having some misses with recent adoptions we were hesitant to bring another four-legged friend into our home. With growing boys and a senior dog that needed quiet and attention, my better half put his foot down. And, as I heard him the other day in the bedroom whisper to them “I love you too,” as they jumped on him and licked his face, I knew that the love they have for him is mutual, even if it took some begging and pleading to get him there to receive it. As for me… I love the little fur balls, even if I just get a random cuddle here or there. They complete our family! One Saturday afternoon, Nick (my middle kiddo) and I walked into PetSmart to just “look” at the puppies. I should have known better, because after rounding the corner I laid eyes on one large enclosure and inside sat the most adorable faces, and I knew… I was in trouble. Yup, that’s right people. I am nothing compared to Shane in the house. He gets up, they get up. He leaves, they look for him. He sits down, they lay on him. He walks back into a room, and you would think he had been gone for a year. They are on him like white on rice! What about me? I saved them! I sat on the floor fending off other adoptees like a fool and begging him to come. Nope. I might get a cuddle here and there when he is gone, but it’s not the same. It’s like they were waiting for him from day one. The team at Comprehensive Women’s Health remains committed to building healthy relationships and providing the best possible women’s health care to the community. We are excited to announce the addition of a freestanding birth center, right here in North Central Florida. The establishment of the CWH Birth Center they choose to give birth. The new facility will include spacious suites with tubs– allowing for traditional and water births outside the hospital setting, while still under the guidance of the CWH midwives. For more information, call 352-332-7222 or visit www.cwhﬂ.com/midwifery. The third planet from the sun and the home of life as we know it, Earth. Earth has served as a home to all of us for many, many years. Her beautiful oceans and lush green grass has been the place for us to sit back, relax and enjoy life. There is truly nothing like the smell of fresh air, but it seems as though with the rise of technology and our need to live, the results have taken a toll on our motherland. So, what can we do to help? A carbon footprint is the effect of greenhouse gases being emitted into the earth by human activity. Carbon dioxide is the main ingredient in these emissions, which have been correlated with climate change. A carbon footprint can be an effect of an individual, business, community, industry or country. Although greenhouse gases occur naturally, human activity contributes a great deal to greenhouse gas emissions. This results in rising sea levels which will erode shorelines and can destroy ecosystems. Wildlife is also impacted as their food sources are affected by rising temperatures. Climate change also impacts human health. It affects food crops, such as dry conditions that interfere with the growing season. Access to safe water is also compromised and increased air pollution can cause respiratory problems. Economically, climate change has had an effect on the agricultural and tourism industries. Once people understand the effect that their carbon footprint has on the planet, they often want to know how they can reduce it. There are some ways that individuals can reduce their carbon footprint by changing some simple habits, which can also improve their own general health and wellness. Celebrate Earth Day on April 22 by giving back to your planet with these helpful tips! It’s difficult to advise anyone to stop all automobile travel unless you are fortunate enough to live in a city with a widespread mass transit system, like New York. However, using other forms of transportation like biking, carpooling, bus riding or even walking when possible can prove immediately beneficial in reducing your carbon footprint. From 2000 to 2013, bicycle commuting rates in large bike-friendly communities increased by 105 percent. Both Gainesville and the University of Florida have earned a silver award by the League of American Bicyclists. Gainesville is No.37 on the list of 50 most bikefriendly cities in the U.S. and is No.6 on the Atlantic’s list of top cities in the US to bike commute. UF has worked with the Regional Transit System to increase the number of bus routes around the community. Carpooling with a spouse, neighbor or co-worker is also a great way to use one less car and further reduce your carbon footprint! Decreasing energy use is one key way to help reduce your footprint. About 85 percent of the energy consumed in modern society comes from fossil fuels. Residential and commercial buildings consume the bulk of the world’s electricity and much of its natural gas. Simply switching to LED lightbulbs versus traditional bulbs saves a significant amount of energy and costs—on average LED bulbs last about 25,000 hours versus 8,000 for traditional bulbs. Home and business owners can also request an energy audit from their local utility for ways that they can preserve energy use. Other simple tips include buying efficient space, heating/cooling and water heating, sealing heating and cooling ducts, equipment maintenance and adding insulation for doors, windows and attics. Finally, a truly easy and mostly unknown way of reducing energy use is by unplugging devices that use standby power. Even when the devices are powered down, they still use energy and drain up to $19 billion in energy every year. WHAT YOU EAT 03 WATCH Limiting your intake of meat can be a very positive change for reducing carbon footprint. Agriculture businesses dealing with meat emit more greenhouse gasses than fossil fuels. Red meat is particularly at fault, as it consumes 11 times more water and produces five times more emissions. While becoming a vegetarian isn’t necessary, reducing your consumption of meat can help the environment. In addition, eating locally sourced food also helps to reduce the footprint created by food shipment. Sticking to in-season produce also helps. Eating foods from local farms also helps support the local economy. It is also advised to stick to organic produce free of toxic pesticides and chemicals. The weekly Union Street Farmers Market at Bo Diddley Plaza is a great way to shop local produce! Finally, planting a home garden is not only healthy for you, but also good for the environment. Plants help to absorb carbon dioxide and gardens and plants help to lower the effects of heat islands. Seek out plants that help to form a symbiotic relationship with the environment, whether it’s bee-friendly flowers or a vegetable and fruit garden. The average American household uses 400 gallons of water a day. Simple changes to conserve water can help to reduce carbon footprint. Installing low-flow shower heads and faucets, investing in water efficient toilets, washing machines and dishwashers, checking for leaks and buying native drought-tolerant plants can help to conserve water usage. Advise family members to turn off faucet when brushing teeth or washing hands. Finally, there are washing habits that can help to both conserve water and use less energy. Try to hand wash dishes that are not as soiled and only run the dishwasher when it is full. Try to use only cold water when washing clothes. Another key tip is to line dry clothes. Running a clothes dryer is equivalent to turning on 225 light bulbs per hour. It is estimated that line-drying clothes can help households reduce their carbon footprint by one-third. City of Gainesville Bans Plastic Bags and Styrofoam! Businesses can also do their part to help lower carbon emissions. Just recently, the city of Gainesville voted to ban plastic bags and Styrofoam containers. Gainesville is following a trend that has been adopted by cities like New York, Los Angeles and Miami Beach. Styrofoam is actually the chemical polystyrene, a type of plastic manufactured from non-renewable fossil fuels. Styrofoam and single-use plastic bags have been shown to harm the environment and food sources. The items often end up in waterways, affecting animals, reptiles and humans. like ginger, rosemary and turmeric have also shown to have anti-inflammatory properties. Diet changes also include avoiding foods with trans and saturated fats, like red meat and dairy, as well as foods containing refined sugar like white bread and sweet drinks. To treat the pain associated with both acute and chronic inflammation, over-the-counter medications like Advil or Aleve are nonsteroidal anti-inflammatory drugs (NSAIDS) that help to fight pain from inflammation. Naproxen, ibuprofen and aspirin are all NSAIDS that can be found at any drugstore. People who choose to take NSAIDS over the long term should discuss this with their doctor, as there are side effects such as bleeding ulcers. Venus LegacyTM is a medical aesthetic device that provides non-surgical treatments for body shaping, cellulite reduction, and wrinkle reduction. Treatments are powered by technology that is safe for all skin tones, even darker complexions. to see if laser therapy is right for you. 352.505.6665 This offer expires April 30, 2019.
team have performed over 400 mitral valve repairs in Japan at the JASMINE Veterinary Cardiovascular Medical Center and overseas, according to JASMINE. Dr. Uechi has traveled to UF to share his developments and procedure for mitral valve repair with the University of Florida College of Veterinary Medicine, and UF veterinarians have also traveled to Japan to witness Dr. Uechi perform the surgery. Soon, UF will become the only program in the country to offer the procedure, and with the right training to all medical staff, the program will run independently out of UF. This new development in the veterinary world has the ability to change and elongate the lives of many dogs in our country and across the world. The teams at JASMINE and UF are demonstrating the importance of sharing and expanding medical knowledge so that all can have the opportunity to focus on the health of our pets and never stop making memories with all members of the family –even the furry ones. Achieve balance in your life and health Professional, All-Natural Blends for all skin types. Hypoallergenic, Hand-Mixed with Natural Springs. With products available in select day spas, salons throughout Florida, California, UK, and Italy. In addition, Professional Aesthetic Businesses throughout the Gainesville & Alachua area (Florida) can shop direct at www.plushorganicsstore.com and for a limited time receive FREE delivery for orders $500 and up. Call today and mention Wellness360 for a 15% discount! Researchers often look to nature to help improve the human experience. Even the basic principles of flight were found from birds. Throughout human history we have used the world around us to enhance our abilities. So why not turn to nature for exercise? The far east has used animals in developing martial arts for centuries. Fighting styles such as the monkey, tiger, or praying mantis just to name a few. If you have ever taken a yoga class, one of the core exercises is downward dog, a pose that mimics the way a dog stretches. Yoga is riddled with poses named after animals. In more traditional exercise routines we see the bear crawl, crab walk or frog jump. There are classes that operate purely around the animal movement concept. Most of these classes go by the name “primal flow.” One of the more interesting companies I found while doing research on the subject is “VAHVA,” which is Finnish for “Strong, able-bodied and powerful. Both physically and mentally. The two owners Samuli and Eero founded the company back in 2015. They are truly remarkable from a movement standpoint. They have several different YouTube videos that will blow your mind. They move just like animals, almost better! They created an entire program centered around animal movement. So why would we want to move like an animal? We rose to the top of the food chain because of our brains not our body. When you think of our human development, many of the modernday conveniences that we enjoy are relatively new. We were made to move in a variety of ways. This type of exercise helps develop core strength, as well as many of the intrinsic muscles that get neglected with traditional exercise. You will be sore in places that you never knew existed. Millions of Americans suffer from back pain. This is typically due to a weak core and pelvic muscles, which is further connected to poor posture. Yoga, Pilates, and primal movement all can help build your muscles to help reduce back pain and get you in great shape! So next time you are thinking of trying a new exercise, let your inner animal roar! Stand with your feet slightly pointed outward and just outside of your shoulders. Squat down to where you glute almost hits the ground. Generate enough force to jump slightly off the ground, as you land go back in to the squat. Start by kneeling with your hands on the ground. Put weight on your hands and feet until you are up on just your hands and feet. Walk one hand forward followed by the opposite leg, repeat this as you cover ground. Start by sitting on the ground. Raise your glute off the floor using your legs and hands to hold yourself up. Begin to walk your body forward or backward while using just your hands and feet. decompress and have plenty of time to relax after work prior to getting their kids. Parents perk! When your child is at Camp Sunny, you will have the peace of mind knowing that they are under the supervision of background checked, CPR/First Aid Certified counselors that lead exciting activities and supervise all the children as if they were their own. Camp Sunny is organized so that there is a low student-to-counselor ratio for all programs, which allows them to keep safety at the forefront of the fun! Camp Sunny is designed with your children and family in mind, which is evident with the many fantastic opportunities and flexibile programs offered! From healthy snacks, arts and crafts to outdoor play and tumbling, your children have the opportunity to participate in a wide selection of activities! Camp Sunny offers martial arts, a ninja zone, gymnastics, rock climbing, cheerleading and dance. And, who doesn’t love swimming in the summer! Camp Sunny has their very own 25-yard, heated and covered saline pool! Guess what?! No red eyes or irritated skin or damaged hair! And, that is not all! Camp Sunny has special guest speakers and offers field trips through the summer to places that include Depot Park, the local libraries and Do Art. And, Sun Country Sports Center understands the need for flexible scheduling with different activities and scheduling offerings available to meet the Camp is at the needs of all their families. The benefits of exercise for our mind and body are endless. Engaging in physical activity can go a long way – whether it’s a morning run, yoga, or weight lifting, just the act of getting your blood pumping, can both elevate your mood and help you feel energized for the rest of the day. Recently, with the age of social media, people have turned the act of exercise up a notch by including an unlikely, four-legged addition. Hit up Instagram and you can find pictures of yoga instructors practicing the act of Goat yoga, Dog yoga, Cat yoga, or basically any small critter that you can balance on your back would suffice. There’s dog-friendly marathons and work-out videos on YouTube that give tutorials on how to train with your pet. Is this trend beneficial, or is the cuteness factor a gimmick to produce more likes? Studies show that interacting with animals has many mental health benefits, which is why they’re so good for therapeutic purposes. According to the Anxiety and Depression Association of America, pets and therapy animals can help alleviate stress, anxiety, and depression. Dogs are known to be very social creatures; just the act of having a dog can get you out of the house, moving and interacting with others. The liberating act of yoga, which helps people find a peaceful connection to their body and mind, draws inspiration from animals, due to their strong, powerful and sensitive nature. In order to create a more authentic human-animal connection, it makes sense to add an actual animal to your yoga mat. Victoria Thompson is a devoted yogi and certified yoga instructor who values the inclusion of animals when she teaches. “I’ve usually just had my dog with me when I do yoga because I believe having animals in your practice can improve your mood and the rest of your day,” said Thompson. Dog Days Run, which is one of the oldest runs in the Gainesville area, features both a 5K and 1-mile run, where owners can run alongside their dogs. For the last 37 years, this event has brought together a devoted community of dog-owners to bond and get active. With the obvious health advantages of exercise plus the psychological and physical improvements from human-animal bonding, it seems like a match made in heaven. However, is this genuinely a good idea or merely a fresh, flashy way to pander toward millennials? act of exercising with animals, she finds the trend of Goat yoga in particular, baffling. “The yoga that I’ve studied was a spiritual yoga and it was about uniting breath and awareness, it was about the being within yourself,” said Welsch. Thompson said that when she added animals into her yoga, it brought more people to her classes that wouldn’t normally do yoga. However, she admitted that the benefits are there, if you can fight the distractions. Even if the recent influx of fitness social media accounts were using this trend to motivate animal lovers to go to the gym – would that really be a bad thing? If your dog helps you get out of the house and get a taste of fresh air, there’s no harm in that. Whether or not you agree with the fact that this phenomenon could be a publicity stunt, it seems to be bringing joy to a lot of people. There’s nothing wrong with spending more quality time with animals, even if that happens to be a catnap. MAYBE IT’S YOUR HOME! BERTIE CAN HELP! Negative pressure homes pull in outdoor contaminants. CORRECT GUM RECESSION QUICKLY WITH LESS PAIN! Positive pressure homes keep contaminants out. SIGNS OF NEGATIVE PRESSURE INCLUDE Dust around vents or door jams • Warm rooms • Mold • High utility bills Excessive humidity or condensation around vents Bertie Heating and Air specializes in designing, maintaining and building systems that make your home healthy and comfortable. Call us today for a free in-home assessment! while Christie earned her Master of Fine Art in Creative Writing. They both retired from the Air Force in 2014, Wade as a Major and Christie as a Master Sergeant. Settling in Alachua County was as simple as finding the home of their dreams in Archer. After over twenty years of constant moves, the century-old Queen Anne Victorian was an emotional purchase. “As well it should be”, says Christie. “I almost started crying when I walked into the kitchen during the home showing. I knew it was my house.” That’s why Wade and Christie encourage their customers to take their time, ask questions and go through the process at their own pace. is also a member of the Archer Historical Society and the President-Elect of the Gainesville network of Women’s Council of Realtors. Wade is the Vice Mayor of Archer, the VP of the local Military Officers Association of America and a Harley Davidson enthusiast who enjoys fishing with his dad out in Cedar Key. transparency, decency and loyalty to those they work with, regarding customers and fellow real estate professionals. The military culture that Wade and Christie grew up in is one that values responsibility to the mission, and to one’s brothers and sisters-inarms. They grew up in that culture, and believe in it completely. Before retiring from the Air Force, Christie led federal and base level programs, assisting military members with the intricacies of personal and federal records. “We know the importance of supporting our community and supporting our troops. I wouldn’t have gotten where I am today if I wouldn’t have learned that lesson well.” Those lessons have primed Wade and Christie to better serve their customers as Veteran Nation Real Estate Professionals; give them a call to see how they can serve you! Bingo, he replied. So we spent some time discussing back pain, and he inspired me to find the path to get back on the court with my aging, jumping-challenged comrades. I was almost ready to make the leap and re-engage when I started feeling throbs in my heel and through my Achilles tendon. There was no acute injury, though I do have some minor history with pain in the area. This would be another roadblock that—as my interviewee would say—would keep me from doing what I wanted to do. I stopped, thought, and ran through some options. Fit comfortably in an airline seat didn’t seem like an appropriate response, so I kept that to myself. My weekly training schedule isn’t limiting, I thought: I run, swim, lift weights, and flip some tires on Saturdays, so I couldn't say any of those things. Because I want to Because I want wait to until I get in I wait until better If I just getshape. in better stretch moreIfand shape. I just strengthen stretch more my core, and strengthen I think be I think myI’llcore, better. I’ll be better. Because every time I play, my back goes out. Last time I played, I told him, I couldn't tie my shoes for seven weeks without groaning. Then he called me out with an expletive that’s thesaurusly linked to oxen bolus. “So then why don’t you play?” he probed. “Because I don’t want to get hurt,” I said. Then it hit me. “Play basketball,” I said. So now—using my preferred physical healing methods of ice and rest, and emotional healing methods of Girl Scout Cookies #TeamTagalong—I’m weighing my options. What is the best path? Be patient, rehab, heal up Give up basketball and stick to activities that don’t hurt Find another activity that has similar components (competition, with friends, etc. ), but that isn’t as taxing [Opens bottle of bourbon]	A friend, who is about five years older than me, recently said, “Get ready for it.” He was referring to the pains he’s experiencing as a result of getting older (he’s in excellent shape) and the detours he’s had to take because of it. For now, I’m hobbling down the hall, grimacing when my heel flares up. I’m sure it’s nothing major (and for that I’m thankful), just a temporary nuisance—but one that makes me wonder this: How are you supposed to know when you should push forward and when you should hold back? Ted Spiker (@ProfSpiker) is the chair of the University of Florida department of journalism, as well as a health and fitness writer. He is the author of DOWN SIZE, a book about the science and soul of weightloss and dieting. SHARE THANK YOU TO ALL OF OUR SPONSORS! ...and numerous other individuals that so generously give of their time each year. We appreciate you all so much! your pet can enjoy a spa vacation too! Family owned and operated, Archer Road Pet Resort, located in Archer Florida, is a one of a kind boarding experience! Whether you have a dog, cat, bird or even guinea pig, Archer Road Pet Resort is your pet’s home away from home when you need to go on vacation or just send them for a day of grooming and play! Anytime an animal is at Archer Road Pet Resort, they are loved and cared for, as every pet should. The Berdaniers and the Ericksons, owners since 2014, make it a priority for your family pets to feel at home during their stay. While your furry friend is at Archer Road Pet Resort, either in boarding, play or grooming, their specialty is providing peace of mind, and that’s exactly what you get when you receive daily pictures of your pet as well as updates on their stay through phone calls and text messages. Nestled inside their building, each pet gets his or her own sleep space in an air-conditioned room with access to fresh water at all times and a lifted bed to relax in. For your feline friends, they will receive an air-conditioned cat condo with multiple levels and plenty of space to move around including lots of indoor playtime. And for Fido, they will have access to a grassy area with toys and obstacles to play on outside. Your pets comfort and safety is their number one concern, so your dog will be taken out four times a day where Archer Road Pet Resort team member Emmarose, assistant manager Elisha and others will keep them happy and entertained during playtime. Additional service add-ons can enhance your pet’s stay, like one-on-one fetch time and a Kong toy filled with peanut butter or more playtimes outside on the 1.5-acre property. Additional add-ons for cats are extra playtime or the famous “Puttin’ Tuna on a Ritz” snack after dinner! Top notch grooming is another one of the many specialties at Archer Road Pet Resort. Dusty Six and Jeff Richman together have over 60 years of experience in grooming and are sure to make your furry friend ready for a night on the town. Archer Road Pet Resort can groom dogs of all sizes and also specializes in grooming wellbehaved cats. The main goal is to have your pet leave feeling confident and leave you satisfied with your look! At Archer Road Pet Resort, the amazing team works together to provide amazing customer service to make both their customer and their pets at ease. Leaving a pet can be hard, and the hardworking team at Archer Road Pet Resort takes pride in building relationships with their guest and each animal that comes into the building is special and building a relationship with the pets and their owners is important. Getting in early is key! Bookings for grooming begin two weeks in advance. During the summer months, the resort tends to fill up about three weeks in advance for boarding. During the holiday season, booking fills up at least two months in advance. Investment advisory services offered through Raymond James Financial Services Advisors, Inc. Banks Carroll Group is not a registered broker/dealer and is independent of Raymond James Financial Services. Securities offered through Raymond James Financial Services, Inc., Member FINRA / SIPC. Fashion trends and cool gadgets are not just for humans! Our pets provide us with so much love and joy; it’s time we give back to them and splurge on something to make their days a little cozier or even more exciting! Let your pet live their best life with these awesome products that are sure to put a smile on their face! NomNomNow Heartland Beef Mash Subscriptions available, NomNomNow.com A meal plan, for your pet! This free delivery meal subscription delivers fresh dog food right to your door! Each meal is individually portioned to fit your dog’s caloric needs. Five recipes and two treat flavors are offered and 14 meal packs are sent each week. Dynasty Bird Cage $144.99, Prevuepets.com Your feathered friend can be fancy too! The Dynasty birdcage is an elegant home that is perfect for your small to medium sized bird. The cage has an embossed decorative design on the base and has an embellished finial, great for hanging! EZ Mount Kitty Sill $23.99, Chewy.com Perfect for a cat that loves to peer out the window, the EZ Mount Kitty Sill is the way to go! It gives your cat an elevated spot to nap or watch the outdoors! The Kitty Sill uses suction cups that can hold up to 50 pounds! PetSafe Bolt Interactive Laser Cat Toy $18.95, Chewy.com If you have a pet that is overactive and loves to play, then the Bolt Interactive Laser Cat Toy is for you! The toy gives endless fun with a laser that runs across the room for your cat to chase. The toy comes with an automatic mode and a manual mode so that you can make your own laser patterns! $20, Uncommongoods.com A 2-in-1 travel bottle that stores water and food which is perfect for keeping your pet full and hydrated on the go! You can store your pups favorite treats or an entire meal in the bottom container, and there is plenty of room for lots of water on top! $6.99 each, Puppycake.com Throwing your pet a birthday party is all the hype now. But what’s a party without cake? Especially if the birthday pup can’t eat it! The good news is, now he can! This healthy at home cake mix comes in plenty of different flavors for your pet. Serve your cake with a side of maple bacon ice cream, or your pick your pet’s favorite flavor! Dog Boots protect your dog's paws from the Florida heat! As the summer nears and temperatures start to warm up, the ground begins to get hot for our pets, too! These paw protectors are great for adventure with your pup, rain or shine! Musher's Secret 100 percent natural wax, is a semipermeable barrier that will soothe and protect your pet’s dry and cracked paw pads year round. You also don’t have to worry about it expiring because as a stable wax, its shelf life is indefinite! This country road can take you home. Imagine this scenario: You walk into your local grocery store and purchase one pack of juicy delicious strawberries, two firm grapefruits, and a fresh cucumber. Upon immediately entering your kitchen, you prepare your meal. The rest of the week brings busy days and too-tired evenings, and the fresh fruit and vegetables you just purchased at the start of the week get pushed to the back of the fridge. A week turns into two, and eventually four; until you remember that you had strawberries in the fridge. When you realize the salad has wilted and the strawberries have started to grow a white hairy-like substance on them, you throw them into the trash. Next week at your local grocery store, you start it over again by purchasing a whole new set of fruits and vegetables. Does this scene sound familiar to you? Well, the majority of American households everyday live out this scenario when it comes to their food purchases. So, out of all of the fresh fruits and vegetables that are purchased each week in America, how much of it ends up in the trash? BE REALISTIC AND SMART + ABOUT GROCERY SHOPPING. Only buy the food that you will actually eat. You can even shop on a week-to-week basis, getting only food for that week. Excess food most often ends up in the trash because we don’t utilize it. Instead of pushing them to the back of the fridge, eat them! Food is generally not going to be consumed all at one time; therefore, it requires storage. While proper food storage may first begin at the grocery store, it does end with you in your home. However, it does take time and effort to properly store food. So store your fruits and vegetables according to their needs. Most fruits and vegetables have stickers or tags with storage tips, but you can always look it up online if you are unsure! Now, these numbers are not to make you feel guilty for throwing away old food you’ve forgotten about, and it’s not to cause you to begin composting your family’s food. However, it should cause you to carefully consider some practical tips below that you can do to preserve your food a little longer so that you can enjoy it to the very end! DONATE THE FOOD + THAT YOU DON’T USE. You may be wondering how fridge organization can help prevent waste, but surprisingly it can. Once you bring your food home, place the new items toward the back fridge shelves and bring the older items to the front. That way, the older items will get consumed first instead of getting pushed aside, and eventually thrown away, because there are new items in the fridge. If you know that you are planning a vacation and will be gone for more than a few days, it may be a good idea to donate the food in your pantry or fridge to a local food bank so that it doesn’t go to waste. I’ve only recently heard of a new item called the Countertop Compost Bin. It’s lightweight, odorless, and it runs on only a 3-hour cycle. Place your breakfast, lunch, or dinner into it and in less time than it takes to prepare and cook a meal, your leftover food scraps can become soil amendment for you to fertilize your garden with. Pretty neat! We humans already know how beneficial blueberries are. They are a tasty super-food that provide numerous health benefits, but can they do the same for our beloved dogs and cats? The answer is yes! In moderation, blueberries can be an all natural, healthy alternative to those processed treats that we buy in pet stores. Blueberries are packed with greatness. High in fiber and low in fat and calories, these bite-sized berries can keep your dog or cat happy and healthy. According to the American Kennel Club (AKC), blueberries are filled with anti-oxidants and can improve the health in aging animals and humans. For our pets with a little “extra fluff,” the fiber in blueberries make them a great diet food and can promote better digestion which could help your pet lose a few pounds. The key to feeding your dogs and cats blueberries is to do it in moderation depending on the size of your pet. While this snack is completely safe for our animals to eat, feeding them too many blueberries a day could result in constipation or diarrhea. Blueberries are small and easy to pack for a trip to the park, day at the beach or even a tough trip to the vet. Frozen blueberries can also be a great cold treat for those hot summer days. Just keep a full bag of blueberries in the freezer or fridge so you can grab some at any time to treat to your furry friends –or yourself! February is Pet Dental Health Month! Mention this ad for $50 off a complete dentistry booked in February. Not sure if your pet needs dentistry? Our doctors will happily provide you with a complimentary dental evaluation, scoring and treatment plan. Countryside Animal Hospitalâ&#x20AC;&#x2122;s team of doctors and staff are committed to providing your pet the finest in wellness and preventative health care. We offer Wellness plans (providing savings of up to 30% off routine wellness services including Dentistry and Spay/Neuter Surgery). NEW 10% College Student Discount on all services! Coupons and discounts cannot be combined. Cristine had dreamt about the day when she would bring a red Goldendoodle puppy into her home. That dream quickly became a reality when she got married and she and her husband made it their first priority to get one! Kona has been a part of the Rawe family since March of 2018, and she loves to play and make friends with all types of animals! Kona’s fun personality makes car rides, walks and hanging out just about anywhere an exciting experience every time. Kona is known for adapting quickly to new situations and always being up for anything. “She really enjoys relaxing and laying out on the grass or going on new adventures!” Cristine said. Follow Kona’s adventures on Instagram @kona.thedood ! PHOTOS BY TANYA CONSAUL PHOTOGRAPHY. Whitney knew that her next pets needed to be llamas when she visited a farm in Micanopy and fell in love with their personalities. She ended up bringing home two, Coco and Spots. Like most other animals, Coco and Spots love to eat, but their favorite thing to do is go on walks with Whitney. Although they have each other, Coco and Spots are also friends with a pony and a donkey! Coco and Spotsâ&#x20AC;&#x2122; curious personalities make them inquisitive and friendly, a great combination in addition to their love of meeting new people! Nine months ago, Bahula the cow could have had a different fate. Ananda changed that forever when she rescued Bahula from slaughter. Now, Ananda and Bahula enjoy snuggling up under the starlit sky at night. Bahula is known for her great personality and typically gets along well with others unless its time to eat as, "she is a bit of a pig when it comes to food,â&#x20AC;? Ananda said. Although Bahula is not Anandaâ&#x20AC;&#x2122;s first pet, she is equally just as loved and would eat all day if she could. PHOTOS BY SINCERELY GONE PHOTOGRAPHY. When Marlina found Macie in a Craigslist ad in 2013, she didn’t want the responsibility of having a puppy. But, Marlina said “when I drove to Orlando, FL and saw her playing happily in the grass I knew that we were meant to be.” Marlina and Macie have been the best of friends for about six years. Their favorite thing to do together is hit up local spots in town for brunch. Macie, the English bulldog and basset hound mix, loves people of all ages, animals and giving kisses to just about anyone and anything! WITH OUR NEW MEMBERSHIP PROGRAM! Acupuncture | Anti-Aging Facials | Waxing | Sauna | Far Infrared Therapy | Therapeutic Massage See our Complete Menu of Spa Offerings and Services on-line! SPA MEMB ERSHIP PACKAGES Gift Certificates and Organic Products Available Call for an Appointment Today! Christmas came early in 2017 for Greyson Roberts when he received his albino ball python, Kaa. The python, who eats one live mouse per week, also lives in the house with two cats and a dog. Greyson loves to hold Kaa while reading in bed with the family at night. The family enjoys giving her a bath when it is time for her to shed, about every other month. Aside from getting a bath, Kaa visits a local preschool class a couple of times a year. â&#x20AC;&#x153;The kids love to touch her and watch her stick her tongue out,â&#x20AC;? Kelly said. Kaa likes spending time with both adults and young children! While Kaa enjoys spending time with her family, her absolute favorite thing to do is curl up in her snake hide and stay warm! The Beutke family lives on a farm with two dogs, cattle, goats, chickens, a donkey and now two lambs, Hazel and Buttercup. Judson, Adley and Haddon Beutke enjoy petting and playing with the Katahdin lambs who were born in the middle of January and the beginning of February. Both Hazel and Buttercup were born on the family’s farm after they decided to grow their animal count in late 2018. “Buttercup has been raised as a bottle baby because her mother was not able to produce enough milk for her and another lamb.” Kristen said. “Although she has been nursed back to health now, she stayed in the house for a few days, got to wear a diaper and slept in a warm basket!” Buttercup and Hazel enjoy playing with each other and other lambs on the farm, they are known for being cuddly and soft and enjoy running and playing. The Beutke family also has two dogs along with farm animals. Barkus was born last June as the youngest puppy of his litter, then Sammi Popkin traveled to Miami, FL to adopt her first dog. Since adopting Barkus, Sammi has found her best friend for life. Barkus is known for his loving personality who gets along with everyone. Aside from his love for licking people (including strangers) right on their faces, he loves to lie on people, cuddle up and sleep all day. Sammi and Barkus really enjoy watching TV and movies together because of his tendency to sit on her lap and watch along with her. When Sammi and Barkus are not in their home, you can typically find them at the dog park and playing with other local pets! Follow their adventures on Instagram @barkusboy ! Beyond the role of a family pet, animals also play a vital role in medicine. You may be thinking that animals can certainly make someone happy, but what do they have to do with someone’s health? Can an animal’s presence actually become medical treatment and improve health? According to the Mayo Clinic, pet therapy, or animal-assisted therapy, is a “growing field that uses dogs or other animals to help people recover from or better cope with health problems, such as heart disease, cancer and mental health disorders.” There are myriad benefits to using animals in the rehabilitative process for anyone of any age who is dealing with some level of sickness. Moreover, there are a variety of animals that can be used for pet therapy like dogs, cats, and horses. certification, registration, support, and insurance for members who volunteer with their dogs to visit various facilities. I had the pleasure of connecting with a local organization considered veterans in the field of animal assisted therapy. Gentle Carousel Miniature Therapy Horses has been in service as an animal assisted therapy program for 20 years in Gainesville. The teams of therapy horses work with over 25,000 adults and children each year inside children's hospitals, hospice programs, and with families who have experienced traumatic events. They shared with me that in addition to their work in the Gainesville area, the tiny horses have been called in to help survivors and first responders outside of the Gainesville area as well, like tornado survivors, victims of mass shootings, or child trafficking victims. For more information on horse therapy through Gentle Carousel Miniature, you may contact them at: www.gentlecarouseltherapyhorses.com. Terry Biehl and her dog Beau, a five-year-old Goldendoodle, are a therapy team certified under the Alliance of Therapy Dogs agency. She started the FB group called Gator Paws Pet Therapy to serve people here in Gainesville. With over 100 members, Gator Paws Pet Therapy focuses on community, learning, and sharing. Terry and her dog Beau visit UF Health Shands hospitals, students at the University of Florida and Santa Fe College. “We are a network of caring volunteers who are willing to share our special canines to bring smiles and joy,” shares Terry. For more information on Gator Paws Pet Therapy, feel free to contact Terry Biehl at www.facebook.com/beaubiehl or terrybiehl@cox.net. Growing up close to the beach, one of my favorite things to do early in the day was to sit and watch all the surfers who were riding with their dogs on their boards. As someone who could never even get myself up on a surfboard, I was so fascinated by them. I was so used to seeing dogs at the beach and with people on their boats, that it never even crossed my mind that the ocean water could be dangerous to them. The truth, though, is that saltwater poisoning is a very real threat to our precious pets. According to Dr. Jennifer Breder Pruitt, Associate Veterinarian at Airport Road Animal Clinic, saltwater poisoning occurs when too much salt builds up in a dogâ&#x20AC;&#x2122;s body, causing the cells to release their water content in an attempt to balance out the sodium. (The opposite is true when they drink too much fresh water on a hot day, driving salt out of the cells and leading to dangerously low levels.) Saltwater poisoning can lead to many serious health effects including severe dehydration, seizures, brain damage, kidney damage, and, if left untreated, death. WHAT ARE THE SIGNS? Dr. Breder Pruitt says there are several things to keep an eye out for if you plan on taking your pet to the beach or on the boat this season. The most notable symptom of saltwater poisoning is a change in behavior. Specifically, too much sodium can cause your dog to become confused, lethargic or even non-responsive. Additionally, dogs that ingest too much saltwater may vomit or have diarrhea immediately after going in the water. As time goes on, your dog may not want to eat or drink. Other signs include body swelling and excessive thirst or urination. water to get your pet nice and hydrated ahead of time. Keep a bowl of fresh, clean water on the beach with you and take a break to encourage your dog to drink every 15-20 minutes. If you notice something seems off and you have been at the beach, even if it is hours later, take your dog to your veterinarian as soon as possible, even if an emergency vet is needed. According to Dr. Breder Pruitt, if your dog does have saltwater poisoning, he or she will likely need to be hospitalized and receive intravenous fluids and supportive care to monitor hydration and electrolyte status to prevent swelling of the brain and seizures. So, if you are bringing your pets with you for family fun this spring, make sure to keep them safe by preventing saltwater poisoning and treating it quickly if you notice symptoms. 1 – 2 p.m. Women’s Cancer Wellness Health Fair Visit booths featuring women’s wellness services from a variety of UF Health providers. 2 – 4 p.m. Women’s Cancer Wellness Symposium Enjoy tea and refreshments during three presentations from UF Health providers about women’s cancer prevention, treatment and research. 24 / 7 / 365! Love Our Bats is a national campaign designed to raise awareness and promote action for bat species locally and globally. Through our partnership with Explore.org, Lubee will introduce individuals around the world to our beautiful bats via cameras placed in their habitats. We believe that direct observation of the bats playing, socializing and raising their young will be an endearing way to delve into the lives of these gentle yet misunderstood mammals. SWEETBERRIES EATERY & FROZEN CUSTARD SweetBerries is a local favorite for soups, salads and sandwiches, but what really makes the visit is getting frozen custard on a hot day. SweetBerries has a large patio area nestled under beautiful trees and colorful umbrellas and includes a watering station for dogs. SweetBerries even has a walk-up ordering window for added convenience for those who bring their pets along. THE SWAMP RESTAURANT The Swamp Restaurant is a popular destination for live music and sporting events. They have a large fenced in patio and an upstairs wrap-around balcony that welcomes dogs. The Swamp not only provides water and treats, they even have an entire dog menu and toys available to borrow. Throughout the year, they have dog events such as Halloween costume contests, “Yappy Hour” and a Christmas event called “Santa Paws” where you can take pictures of your pup sitting on Santa’s lap! A frequently asked question of pet owners: “Can my dog come?” Afternoons spent out to lunch, for coffee or for a nice run becomes even more enjoyable when we can share these experiences with our four-legged best friends. Dogs are great for a social life and a great reason to get outdoors. Not only do we benefit from this but also, a social dog tends to be happier and better behaved. So explore Gainesville with your furry friend by visiting some of the many pet-friendly places in town! DEPOT PARK On any given day, a visit to Depot includes seeing many people walking their dogs. Dogs must be kept on a leash at the park, but there is no shortage of things to do with your pup. Depot has a huge lawn to relax or play, with the Pop-a-Top General Store or Boxcar Beer & Wine Garden to grab snacks and drinks to enjoy on the patio. Depot also includes a beautiful 0.8-mile trail to get in some exercise and view nature. This trail also connects to the 16-mile long Hawthorn State Trail for the more athletic breeds. LOOSEY'S Named after the owner’s dog, Loosey’s lives up to the expectations of being a dog-friendly spot to grab lunch and a drink. Loosey’s is known for serving wings, burgers and beer and hosting many events and trivia nights. Their Instagram account features pictures of pups sitting out on their patio area, encouraging visitors to bring their furry friends along. Dogs are even greeted with water bowls and treats. KANAPAHA BOTANICAL GARDENS Known for having the state’s largest public display of bamboo and giant Victoria water lilies, Kanapaha Botanical Gardens consists of a 1.5-mile paved walkway to explore the gardens. There is an $8 admission fee for adults, and dogs are welcome if they are kept on a leash. Plan on spending half your day there if you want to see it all, but this shouldn’t be a problem with multiple water bowls for dogs placed along the path and pavilions with seating areas to rest. Guests are also welcome to bring in picnic baskets to enjoy a meal in the scenic garden. WHAT TO KNOW BEFORE YOU GO Use sites like bringfido.com to find a list of restaurants that are pet-friendly. You can also call ahead to see if you can bring your furry-friend. Keep your pet on a leash when taking them out in public. Make sure to bring an extra bowl of food and water in case they get hungry or thirsty. Celebrating 20 years of exceptional patient care! Helping You Live a Healthy Lifestyle. Jenny Higgins earned her bachelor's degree in psychology at the University of Florida. During her undergrad, she worked in the Canine Cognition and Behavior Lab and enjoyed the projects on various dog behavior topics, including play versus aggression, and thunder phobia. After graduating, Jenny went on to attain two certifications in behavior consultation and training. Jenny loves training tricks, but her passion is with behavior modification. So, she continued with her education and completed a 2 1/2 year program with the DogNostics Career Center to earn a diploma in canine behavior consulting. Currently, Jenny runs her own business called PUPS Gainesville, LLC and works with clients in group obedience classes in a training center near downtown Gainesville, or she works with clients in their homes. Reward-based training is using something the dog finds valuable in order to motivate and reward good behavior. Training with treats is very common because we know that most dogs find food valuable. Other rewards can include play, enthusiasm, getting a belly rub, chasing their person around the house and endless others! We use the treats, or other rewards, as positive reinforcement for a behavior the dog just performed. If Fido gets a cookie when he offers eye contact at the park, Fido is going to realize that focusing or checking-in with you is very valuable.  Is there a restriction on age to start training my dog or puppy? Is there an age where they are considered “too old” for training? Training can never start too early. Confidence building, impulse control, and proximity are all concepts that should be started as early as possible to help build the optimistic, well-mannered adult dog that likes to be around us and vice-versa! Even if you are waiting for a certain age to attend a group class with your dog, home-training should start ASAP. And if you have ever heard, “An old dog cannot learn new tricks.” That’s a myth! Even if there are certain habits in place, new behaviors can be taught regardless of age.  Does using food to train my dog mean that they will only obey if they see a treat? No, if rewards are used appropriately, then the dog will not become dependent on seeing, smelling, or hearing any treats or toys to perform the behavior. I teach three stages of food training for a reinforcement schedule, and by stage two the dog is not aware if a reward is present.  What shot records should I have for my dog or puppy to participate? Several diseases do run in families. If your puppy is coming to a group class, I recommend having the first series of puppy vaccinations: DHPP (distemper, adenovirus, parainfluenza, and parvovirus) and Bordetella. In addition, I would suggest the puppy has been in the home for at least two weeks before going to a class. your dog and teach goal behaviors. Typically, owners will be equipped with preventative solutions and about two to three new homework exercises per lesson.  How do pet training and psychology correlate? Dog training should begin as early as possible to gain maximum results from the sessions.  What is a positive treatapproach and how do you use it to train a dog?  Will my dog continue their behavioral skills after the training is complete? Training should not be considered a short-term project, but rather a system of communication that we reinforce throughout the dog’s life. Also, the age of the dog plays a big factor here. A 5-monthold dog can be taught to sit, lay down, come when called, but that dog’s training needs to be maintained and challenged throughout adolescence, otherwise they can backtrack and/or explore other options (such as NOT coming back when called) and find those to be more rewarding instead of the behaviors we taught as a puppy. To put it into perspective most working dogs will not go into service until after two to two and a half years of age and training. After these two to three years of training, behaviors are maintained by occasionally being reinforced (this is called an intermittent schedule). My mission is to create personalized wardrobe and storage spaces that are balanced with beauty and function.  What are the first things my pet will learn in training? Premack’s principle! They will learn that certain less desirable behaviors equal a more desirable outcome. Human example: "Eat your veggies, get dessert!" When first starting a training exercise with food, toys, or praise, the dog should learn that calm composure is what results in getting those pieces of food or the toy thrown for them. This would be the basic of impulse control.  My dog does not behave when we go out on walks. Is there a way to teach her how to walk? There are several games and exercises to work on for loose-leash walking. Some games involve disengaging from distractions and some focus on teaching your dog how valuable it is to walk close to you. It can also be very helpful to teach your dog that there is a cue to “go sniff” and explore around and there is a cue to “let’s go” and walk with you; that way your dog has a distinction between some doggy free time and walking right next to you. can trust and whom we know will absolutely be there for us in a time of need. For me, my friends know something is wrong before I am even aware of it, and they also know the exact remedy I need to feel better! It is true that women friendships differ from men friendships in numerous ways. The biggest difference, as seen in a study published by the National Center for Biotechnology Information is that women friendships are more “face to face” and men are more “side by side.” The research also concludes that women’s friendships are more intimate, where men’s friendships are more focused on shared activities, and it has to do with the social norms that we grew up around. While both men and women friendships can be different, having friendships in general might actually increase how long you stay on earth! According to a study done in Australia, having a large friend base could save your life. The conclusions of the study found that a person’s “survival time may be enhanced by strong social networks.” So gather up your friends and hit up brunch on the weekend to enjoy each other’s company and add a few years to your life! and boost your happiness and reduce your stress. Lara Baigorria is a senior at UF studying computer science engineering. She attends school full-time and lives an active lifestyle by competing as a bodybuilder in the bikini division. Tell us about your lifestyle. Why did you choose to integrate school and bodybuilding? I am in my last semester of my undergrad at the University of Florida pursuing a computer science engineering degree. With my degree, I hope to foster an inclusive computing culture that exposes young children to computer science(s) and addresses the lack of diversity in CS (computer science). Since I was a little girl, I have lived a very active lifestyle- from ballet to gymnastics to cheerleading then CrossFit and now I am a bodybuilder competing in the bikini division. My drive to compete came from wanting to see how far I could push my body and having a goal to work toward every single day. After watching a bodybuilding competition, I was in awe of how these strong and beautiful women looked on stage and I wanted to see if I could achieve that physique as well. This was the day I decided to start prepping for my first show. How do you live a 360life? A balanced life is unique to each individual. I try to balance the things I must do with what I want to do. For me, I need to make time to workout, cook my meals, spend time with loved ones, and take care of my mental health. Working out is how I de-stress and is honestly what I look forward to all day long. I listen to my body and have rest days when I see necessary. Involving mental health, I like to use my Breathe app on my Apple Watch, I find that it helps when I am overwhelmed or stressed, along with making sure I am saying kind things to myself. We are all our own worst critics so remembering to show self-love, whether that is by doing my nails, getting a massage or just saying a few kind things to myself- is really important in achieving my 360life. How do you prepare for the competitions? Preparing for competitions takes months of hard work. My diet, workout regimen, and lifestyle change in order to achieve a physique I am proud of. Relating to my diet, I track my macros and adjust them weekly in order to continue to see progress. For my workouts, I focus less on lifting as heavy as possible and start doing more repetitions with less rest in between each set. My overall lifestyle gets shifted to focusing on competing, so I make it one of my top priorities ultimately meaning that some other things must take a back seat. Spotlight 360 What do you enjoy most about competing? My favorite thing about competing is surpassing my own expectations. Setting a goal that at the time seems almost impossible to achieve and working toward it every day gives me purpose and something to look forward to when I wake up every morning. Being able to step on stage and show the months of hard work is just the icing on the cake. Please share your biggest moment in competing, in detail, and what it meant to you. My biggest moment in competing would have to be when I won the Overall Title at the Ruby Championships in September 2018. Winning overall means you won your height class, and then the 1st place winner of each height class competes against each other for the overall title. This was my 3rd competition, and I was trying to qualify for Nationals (where you must get 1st or 2nd in your height class to qualify) and had missed the qualification by one spot in my 2nd competition. I truly believed I was going to qualify in my second competition, and when I didn’t it stung. So, I decided to do this competition the very next week. Having missed it twice before and knowing I had what it took to qualify was the reason why winning on the third try meant so much to me. No matter win or lose, I am always proud of how I am able to transform my body, but I had put so much blood, sweat and tears into my prep and finally having the satisfaction of being told that I could compete against the best in the nation meant the world to me. This had been my goal since the first time I stepped on stage and achieving it was an unforgettable experience. To top it off my family and best friends were able to go watch me compete and having them with me made it even more special since they don’t always understand my lifestyle. They were able to see why I work so hard and make the sacrifices that I do when it comes to competing. How would you encourage others to start living a 360life? because it might be what you were meant to do, and you are never too old to find your passion. With that being said, nourish your body and brain, and make time to do things that ultimately make you happy. What is the most important lesson you have learned from this lifestyle? The most important lesson that I have learned is that a balance lifestyle is unique to each individual. People ask me all the time how I can dedicate so many hours of my day to the gym, but for me it’s just what I love doing. Working out and being active is how I relieve stress, and the gym is my happy place. While others might enjoy going out, I honestly enjoy seeing how far I can push my body both physically and mentally and being a bodybuilder is exactly that. My gymnastics coach, Maria de los Angeles, told me many years ago that, “Hard work beats talent every time.” This quote has stuck with me ever since I was eight years old because growing up as a gymnast; I was not always the most talented. However, I always pushed myself and worked hard every single time I went into the gym, which is why I was able to be so competitive in the sport. I now apply this concept to all aspects of my life. Whatever I set my mind to I make sure I am giving it my 110 percent in order to achieve the best possible results. What is your favorite way to wind down from a busy week? When having a busy week, I love just lounging in my PJ’s, watching a funny TV show, and eating the Enlightened ice cream- especially the “Movie Night” flavor. What is your favorite TV show? I watch a lot of TV series, but my all-time favorite is The Office. I have watched it from start to finish 4 times, and it will just never get old. What is your favorite Food? I have a huge sweet tooth, so I would have to say cookies! What is your go-to restaurant in Gainesville? I love breakfast food, so I would have to say Keke’s Breakfast Café would be my go-to. MEGAN SAPELAK, GRAPHIC DESIGNER Kevin is a 5-year-old tabby cat. SAYAH FARRAH, EXECUTIVE ASSISTANT Charley, her granddog, is an 8-year-old miniature poodle. GRACE DOWNEY, GRAPHIC DESIGNER Ginger is a 4-year-old Chihuahua mix. RENEE CASTRO, ASSISTANT EDITOR Bella (left) is a 7-year-old miniature schnauzer, Bandit and Bailey (right) are 7 and 2-year-old Yorkies. BETSY LANGAN, ACCOUNT EXECUTIVE Lilli is a 6-year-old golden retriever. AMANDA ROLAND, EDITORIAL INTERN Mercedes is a 6-year-old tuxedo cat. APRIL TISHER,ACCOUNT EXECUTIVE Buzz (left) is a 9-week-old chocolate lab and Digger (right) is a 9-year-old chocolate lab. Bear is a 5-year-old bichon frise, shih tzu and Yorkie mix. NICOLE AND SHANE IRVING, PUBLISHERS Jack (left) and Jill (right) are both 8-year-old papillons they rescued. The last time I was skiing, I vowed it would be my last. I was in Jiminy Peak with my aunt and late uncle celebrating my 21st birthday. It was the last run of the day, and as the temperature was dropping, my aunt went inside to get warm and my uncle and I went up the chairlift for one last trip down the mountain. As we got off the ski lift, a freak storm came through with strong winds, snow and panic. My uncle went down the mountain, assuming I was following. Well, I tried. The winds were so strong that I physically was not going anywhere, but backwards. To my left, snow boarders were crawling their way down. To say that I was scared was an understatement. My uncle was able to side-step up the mountain, he realized I was not behind him after a hot minute, and brought me down the mountain, holding on to dear life behind him. That was 21 years ago, and I was determined to never approach that activity again! Fast forward to my 42nd birthday and a work trip that would bring me to the Rocky Mountains and skiing heaven, Breckenridge, Colorado. My husband was in seventh heaven. This was a dream of his. And, I was in a fresh panic. And, to make matters worse, a video was circling around about skiers who got chased by a moose in Breckenridge the week before. This was not my heaven. However, I TRIED it! Thatâ&#x20AC;&#x2122;s right folks, I made it down the breathtaking runs not once but three times! The snow was powdery, the weather was beautiful and except for the ski boots that were cutting off my circulation at times, the day couldnâ&#x20AC;&#x2122;t have been more perfect. In addition to skiing, Breckenridge offers a quaint and friendly town of shopping, amazing food and culture. On our way back to Denver, we even took a detour to see the infamous South Park. The ride through the mountains and valley were some of the most gorgeous views I have ever seen. In a nutshell: Breckenridge has so much to offer for everyone! From beginner to professional level skiers, the powder snow is breathtaking! And, the view and town is perfect for just about anyone who wants to enjoy a mountain vacation. Everyone was friendly, the scenery is spectacular, the powder snow is perfect and the food was delish! We will definitely be back! 5 stars! NEW TO TIOGA: DR. GAYATHRI RAJU, DMD Pediatric Dentist Dr. Raju is passionate about providing positive dental experiences to children so they have a great foundation to build a healthy and beautiful smile. She is a graduate of the University of Florida College of Dentistry and completed her residency in Pediatric Dentistry at the University of Florida, Naples. She specializes in the treatment needs of infants, children, adolescents and special needs patients. She is a resident of Gainesville, a voracious reader and loves the outdoors. Dr. Raju and her team members are attentive to your children’s clinical and emotional needs. They provide age appropriate explanations to minimize your child’s concerns and to allay their fears. Dr. Raju’s approach is conservative, focusing on prevention and education in order to lead to a lifetime of self-motivated care.